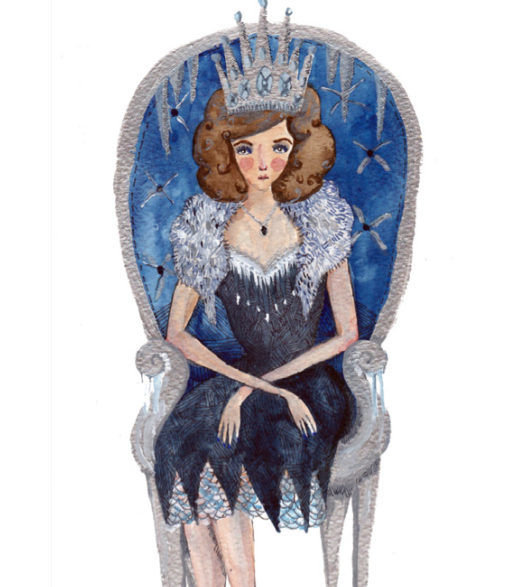 I recently illustrated a feature for cellardoor magazine, i totally forgot to tell you guys here is my illustration for issue 5, the article i illustrated was all about ice queens, i overloaded on silver and blue. It was such a fantastic opportunity. I hope everyone like the illustration, i am currently re-working my style alot more loose and more colour.